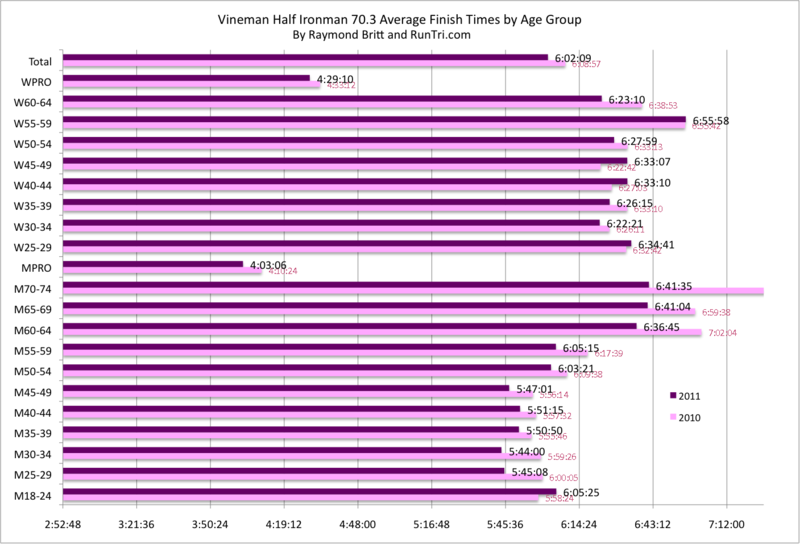 Triathletes finished the Vineman half Ironman in an average time of 6:02, about 6 minutes faster than last year. 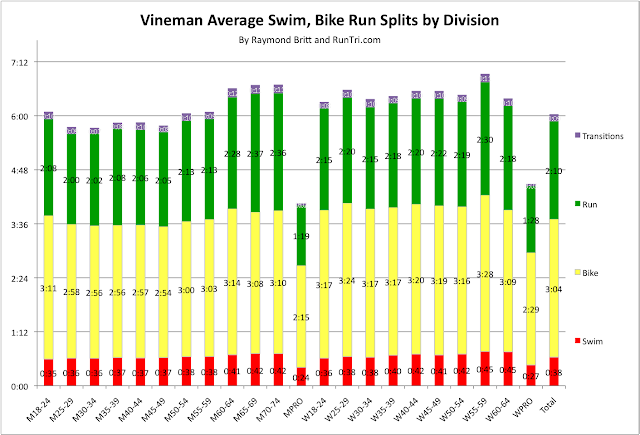 The average bike split was identical in both years -- 3:04 -- but conditions were conducive to a 5 minute improvement in the run split, to 2:10. Most age groups delivered faster average times as well. 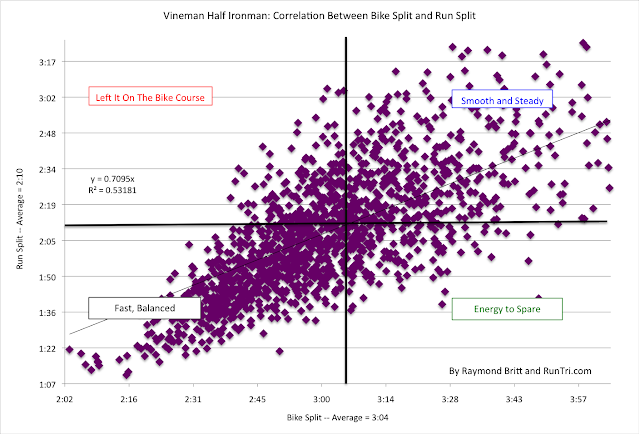 With a rolling bike course that's a bit more challenging than most, there's always a higher chance that triathletes will expend too much energy on the bike, retaining too little for a fast run. But with the average 2:10 run split and only a 2% DNF rate, it seems that most avoided this pitfall. The not-so-lucky ones who suffered on the run are represented by the datapoints in the upper left quadrant.